Ryder Cup legend Tony Jacklin blasted Sergio Garcia’s meltdown at the Saudi International last week, saying that the 39-year-old Spaniard “made a fool of himself” at the European Tour event. The 2017 Masters champion reportedly damaged the greens by dragging the sole of his shoe across the top of the putting surface and left a divot mark on the 6th green. Despite the disqualification, Garcia reportedly was neither suspended for his actions nor forced to return part of his appearance fee. While video footage of Garcia damaging the greens has not emerged, a video of him having a fit of rage in the bunker at the fourth hole went viral. Garcia took his wedge to the sand and tomahawked the surface four times in quick succession before uttering a string of curse words in Spanish on his way up to the green. Despite being an admirer of Garcia throughout his career, Jacklin did not hold back in his rebuke of the Spaniard’s behavior last week. The 74-year-old Jacklin, who helped Europe win two Ryder Cup titles during his captaincy, even suggested that Garcia take a leave from golf for his actions. 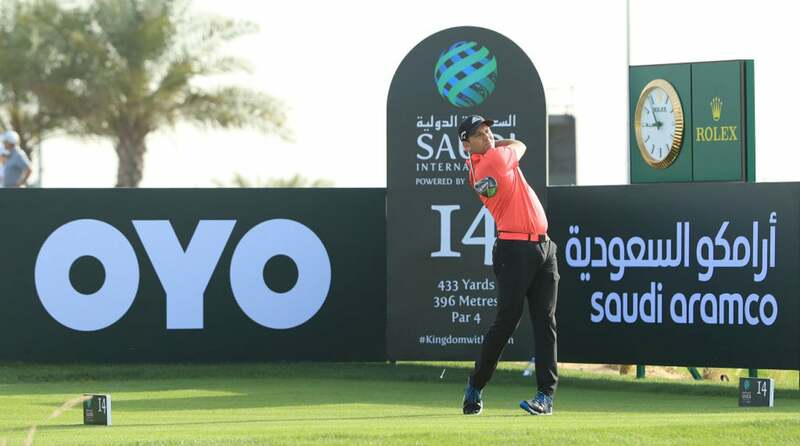 Sergio Garcia did not have a good time in Saudi Arabia last week.